NAPOLEON, Ohio—LaserCoil Technologies LLC, has increased the cutting speed and power of its laser blanking systems with the introduction of 8kW fiber lasers that offer a proprietary Z-axis design integrated directly into the laser blanking system. The feature is said to allow the laser head to more rapidly adjust to height variations in the material, maintaining consistent stand-off. As cutting speeds increase with the higher power laser, it is imperative that the performance of the Z-axis increases accordingly to realize the system’s full potential, the company said in a press release. When reaching higher cutting speeds in the past (especially in the range of 1000-2200 mm/second), the system’s ability to adjust to variations in material height with less than perfectly flat material lagged behind the laser’s potential cutting speed. This essentially kept the system from reaching its full throughput potential and was due, in part, to the Z-axis adjustment’s being tied into a separate controller, functioning through a separate HMI (human machine interface). But the new integrated Z-axis offers the ability to maintain the higher speeds with a wider range of less than perfectly flat material, according to LaserCoil. The systems can be sold with a single laser 8kW head or with multiple heads, which allow a shared balancing of the cutting workload to decrease processing time and improve productivity. Additionally, the LaserCoil systems offer multi-mode capability, allowing users to choose either Feed Index Mode (stop/start) or Continuous Mode for optimizing cutting parameters for each part configuration, increasing processing rates, and enhancing quality. 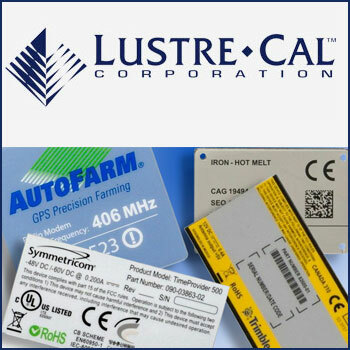 By laser cutting directly from coil stock, LaserCoil systems are said to provide a fast and flexible approach to blanking that is well-suited for production environments running multiple blank profiles and mixed material types. Faster laser blanking of automotive components from coil stock is one example. The systems can handle coil stock up to 2.1 meters wide in any length, and can process aluminum, mild steel, advanced high-strength steels, materials for surface sensitive panels, and structural components. With 8kW systems, simple shapes in material thicknesses from 0.5mm to 0.75mm can be cut with speeds approaching 2.2 meters per second, making laser blanking a viable and competitive manufacturing choice for volumes of less than 100,000 per year. The LaserCoil upgrade from a 4kw to 6kW laser produced a 10-25 percent increase in speed, enabling the systems to cut 0.5 to 0.75mm thick materials at 1.5 meters/second, the company reported. Since then, the company has developed multiple-head systems capable of improving throughput by 85 percent. LaserCoil (www.lasercoil.com) has also developed its own LaserCoil CAM software, a multi-mode option, and integrated robotic stacking, as well as this recent 8kw capability. Four LaserCoil cutting systems are currently installed and running in production, the company said.